No matter where you sail, you’ll enjoy the star treatment on board the sparkling Star Princess. From her relaxed ambience to tantalizing dining options and incredible features like the piazza-style Atrium, Movies Under the Stars and The Sanctuary, a tranquil retreat reserved for adults, you’re sure to feel indulged every moment of your stay. 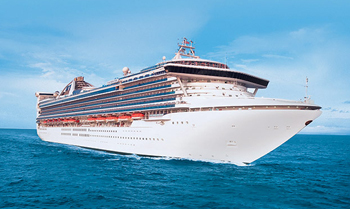 View all Star Princess cruises, view a selection of Princess cruise deals, or view more options for Princess cruises.